One of the worst pests a homeowner can come up against is termites. The damage they cause can be very expensive and worsen if left untreated. Termites feast on wood, and because houses are constructed from wood, a termite infestation can compromise the integrity of the structure. To avoid this potentially costly and dangerous disaster, here are a few methods you can use to prevent termites from harming your home. The best way to find out if you are susceptible to termite damage is to hire a professional to perform a termite inspection. 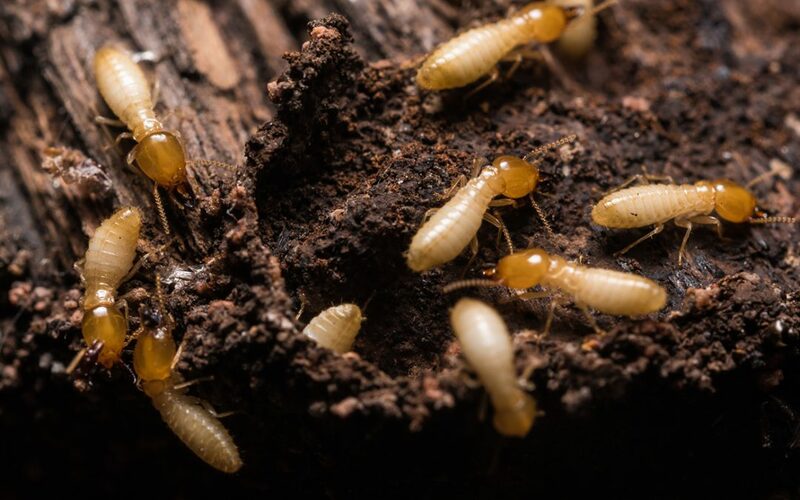 While you may think it will be obvious if you have a termite problem, you’d be surprised at how secretive these pests can be. Professionals are equipped with the proper equipment and experience to check vulnerable spots of your home for evidence of termites. They can help you identify potential risk areas and suggest additional ways to prevent termites from accessing your home. If they notice signs of termites, they will make recommendations for treating the area so you can stop the spread before more damage occurs. Termites love wood. They burrow it in, breed it in, and eat it. As such, you want to limit how much wood you have around your house in order to prevent termites from zoning in on the area. Wooden debris that has been sitting around on your lawn is attractive to termites. You can consider composting the debris or contact professionals who perform wood recycling. It’s a green operation that can help the environment. It’s a win-win because the wood can be properly used again, and it’s no longer a beacon for termites at your home. If parts of your home that are wood aren’t at least six inches off of the ground, a termite can use it as an access point to get inside of your home. As such, a method to prevent termites from accessing your home is to make sure that all wooden parts of your home don’t touch the ground. This can include a wood lattice, door frames, window frames, wood siding, or anything else made of wood that is connected to your home. You may want to trim the wood so it no longer touches the ground, or you can just put into place a concrete base to act as a buffer. This can deter termites from entering your home. One last method you can utilize to prevent termites is using a professional to conduct a pre-treatment. This can be done primarily for those who are building a new home, but a professional can give advice and provide treatment for existing houses, too. By placing a termite barrier, you can keep termites from being able to discover entry points into your home. Because of the costly damage termites inflict on your home, it is important to take the necessary precautions to prevent them. A professional home inspector can be the first-line of defense when preventing termites in your home. Safeway Home Inspections includes a Termite and Rotted Wood Inspection with a Buyer’s Home Inspection service. If you are purchasing a home in New Jersey and need an inspection, contact us today.